I’am fascinated by food bloggers’ ability to churn out tantalizing recipes with gorgeous photos on a regular basis. I don’t know how they do it. I’am quite apprehensive about sharing recipes and it’s not because I do not like sharing. I love sharing recipes, I really do. I’am just not confident whether my tastes would be similar to others’ or whether something I really like would be loved by someone else equally. Take my sister for example. We lived and grew up in the same household eating the very same food, daily. But our tastes are so different that there are very few food items that both of us equally adore. If this is how it works in a family, imagine how different we all would be in our tastes, likes and dislikes. That being said, I’ve no issues in recommending recipes that I’ve tried from other blogs or cookbooks. 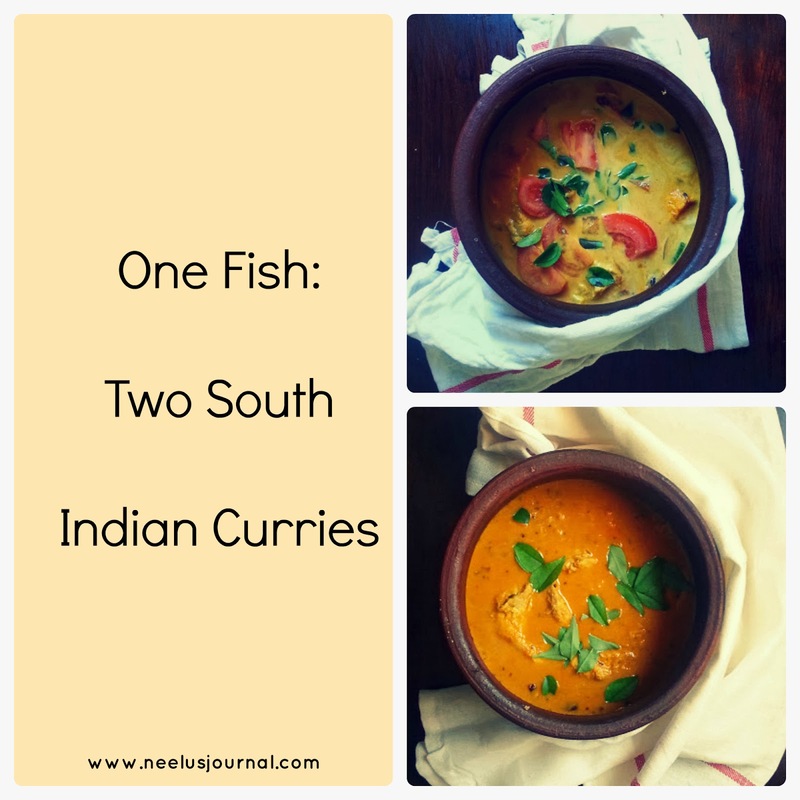 Like these two fish curries. My children are not picky eaters per se (Masha Allah), but they do have their days. Whenever I have to break the cycle of such bad days, I push myself to try elaborate recipes that I normally won’t cook with. One of them is Kothiyavunnu's Fish Molee. Okay, fish molee isn’t that time consuming, but when it comes to squeezing three sets of coconut milk, I tend to back out. I have cooked with this recipe several times. The only thing I do differently is that I add tomatoes in the end. I’am unable to remember the show’s name now, but I had watched this method on TV couple of years back. Few days back, I asked Mr Google for a fish curry recipe and thanks to him I found this recipe called Chettinad Fish Curry or Meen Kuzhambu. I read through her steps and thought, ‘another elaborate method of cooking fish. Sure, why not?’ And just like that, a new recipe entered my repertoire. Talha and Aisha devoured this curry with neer dosa and broccoli thoran. Both of them continuously told me that it was yummy. What more does a mother need? For both recipes I have used Nile Perch fillets. They are chunky and perfect for grilling and curries like these. Photos were taken with my phone camera and edited on PicMonkey. I make fish moilee frequently, but that's because I use ready made coconut milk powder. I agree it's not as good as the real thing, but it works :). I actually find your food photographs really beautiful, and wonder how I can make mine as good!!! 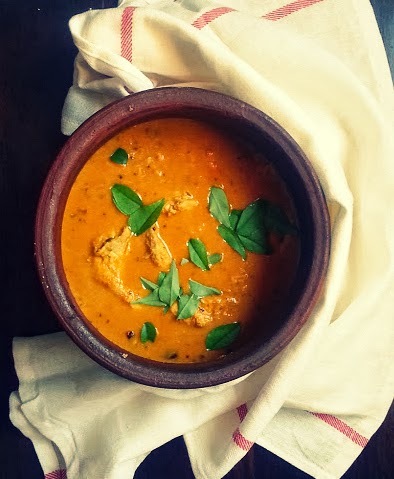 Thanks for sharing the Chettinad fish curry, got to try it soon. I use coconut milk powder or tinned coconut milk as well. But when it comes to curries like these I prefer using fresh coconut milk. Thank you Fabi. I'am drafting a post on Food Photography tips. It should go live by next week Insha Allah. I think everyone's taste is different. Sometimes, even when following a recipe, you need to tweak it a little to suit your own taste. 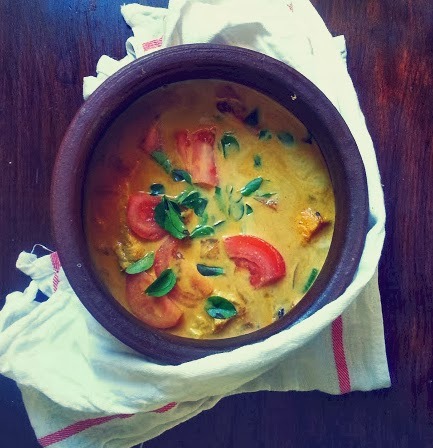 I'm not a fish curry fan myself, but your pics are very tempting!